Do you think you know everything about our Company? Well, let's put your knowledge to the test, we are sure there are still many things you do not know about us. Surprise yourself with some data that you probably did not have on the radar! Coca-Cola was created in the United States by the pharmacist John S. Pemberton in 1886 and began to be sold in a small pharmacy in Atlanta, Georgia. In this city remains the global headquarters of The Coca-Cola Company. At that time a glass of this refreshing drink cost only 5 cents and about nine bottles per day were sold. Surprised? On May 8, just three weeks after its release, the first Coca-Cola press announcement appeared. In 1899 only three people had the right to bottle Coca-Cola; But by 1909 there were more than 400 bottling plants , all in the United States. Our iconic bottle was created in 1915 . This after launching a contest to choose a design that would unify the image of Coca-Cola, because at first each bottler used different containers. It was in 1923 when we began to use our classic box of six bottles to facilitate the transportation of the containers. The Second World War motivated the creation of the Coca-Cola can, because with this resistant packaging, our drink could be effectively supplied throughout the world. In 1968, Coca-Cola became one of the main sponsors at the Olympic Games held in Mexico City. During the World Cup of Soccer celebrated in Mexico in 1986, the Ola Coca-Cola is born . Today it is a classic of thousands of stadiums around the world. Always imitated, never equaled! 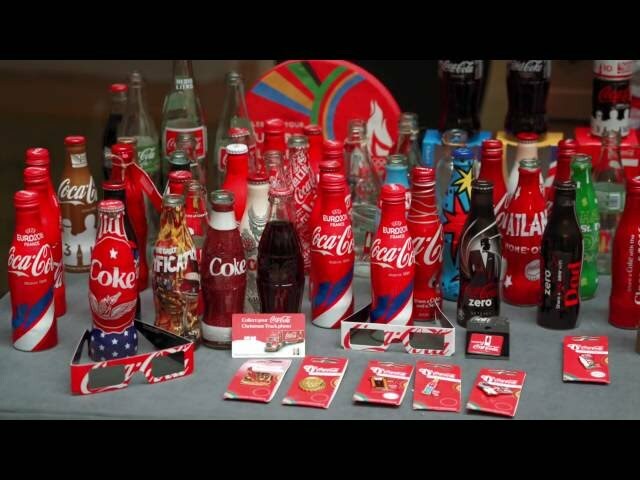 The Pikerton Detective Agency, hired by Coca-Cola, showed that there are over 7,000 imitators or Fake Colas! The Coca-Cola Company and Italy are almost the same age. It turns out that in 1860, Italy realised a process of unification in the region, which gave origin to this nation. With only 26 years of difference, we could be "brothers!"